The emission of alkali (“light-metals”) and heavy metals in combustion processes is an important contributor to environmental load. We investigated experimentally in the laboratory the generation of particles from model exhaust gases derived from NaCl and CdCl2. An on-line gas-phase measurement system showed that the mean diameters of aerosol particles derived from the evaporation of NaCl and CdCl2 were 35 and 30 nm, respectively, when the dilution ratio of the model gas was 1:20. The value was 50 nm in two-metal co-evaporation (NaCl and CdCl2). These results may be informative for predicting the phenomena related to gas-to-particle conversion at the exit of stationary emission sources. 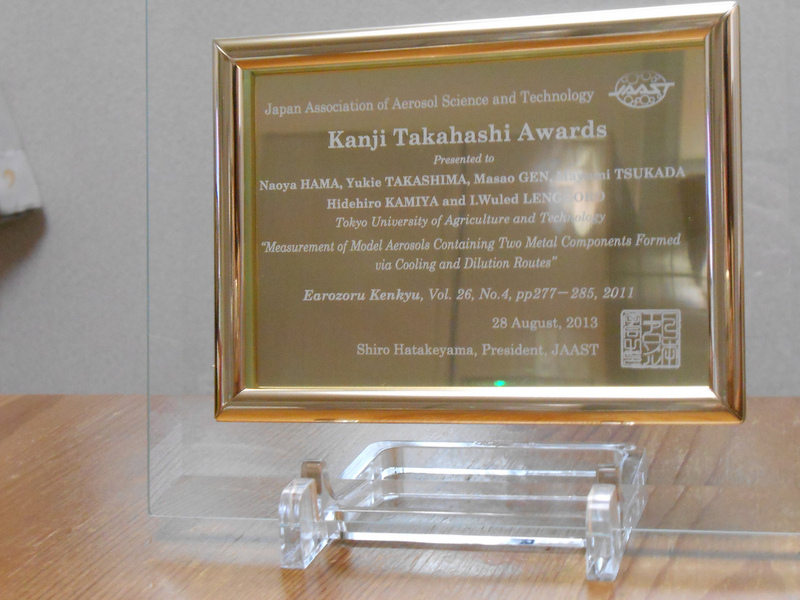 Kanji Takahashi Award (from JAAST) for this paper. 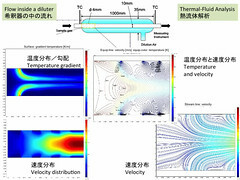 Journal of Aerosol Research, エアロゾル研究, 26, 277-285 (2011) . jstage = Full article, PDF. Our recent topics << 最近の発表論文概要.